Is it time to replace your old patio doors? You’re most likely wondering at this point what kind of door should you get. What if we told you that there’s a patio door type out there that’s a cut above the rest? 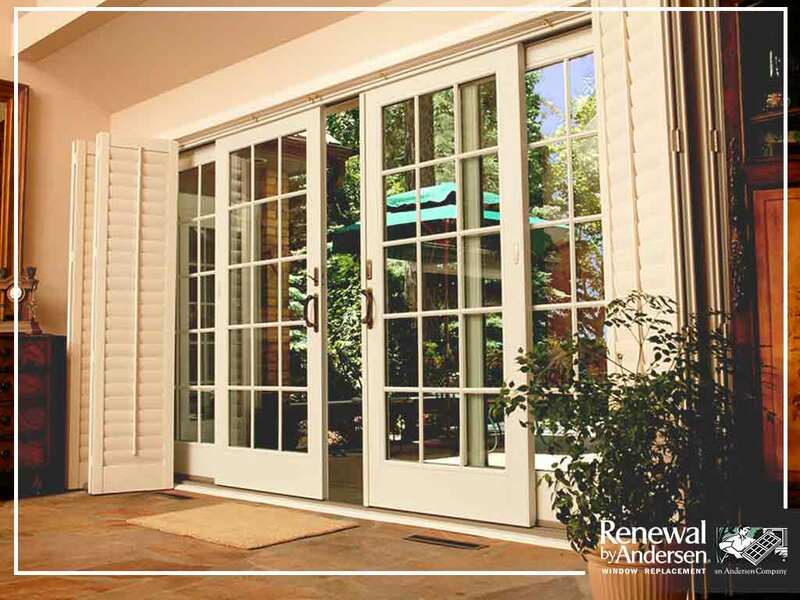 Renewal by Andersen® of Quad Cities French patio doors are the perfect choice for your home. The French patio door is one of the most elegant and fanciest types of patio doors out there due to its eye-catching architectural features. French patio doors are be both elegant and energy-efficient. Not only will you have an eye-catching door that adds to your property’s curb appeal, but you will also have a door that helps you save on your energy bills. Amazing, isn’t it? However, elegance isn’t the only thing you as a homeowner should be looking at. You should also consider how long it lasts. Our French patio doors can be quite durable. Not only do we use energy-efficient materials in the glass itself, but the frame itself is made of our very own patented Fibrex® material. Fibrex is a composite material that’s stronger than vinyl, wood or even aluminum, so you can expect your patio door to avoid cracks, corrosions or rot, making it last longer and perform better than most doors out there. Turn to Renewal by Andersen of Quad Cities for your home improvement needs. We are your number one provider of window services and door products, such as sliding patio door. Give us a call at (309) 644-4769, or fill out our contact form at the bottom of our homepage to request a consultation. We serve clients in Moline, IL, and other nearby areas.